Curtis has been delivering mail for forty-two years. Today is his last day. And all the mailboxes along his route are filled with surprises. There is a drawing from Debbie, Dennis, and Donny. There is a bottle of aftershave from the Johnsons. There is a small, fat book from Mr. Porter. But the real surprise is at the very last house on the very last street. 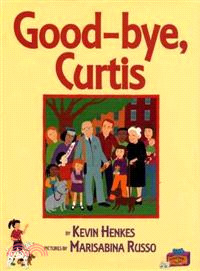 There is no doubt that everyone loves Curtis!